Rohit, 03 Mar 2012Thanks for responding but this battery info i already know but i dont want from website i want... moreIm using dis phn abt 6 months. so my opinion iz- Wifi is gud, bt not gud in 3g. display, web surfing, music mp3, video is better. main disadvantages are; poor bettery lyf, low internal memory and no multitouch. the internet connection is so great.It doest matter if it dont support multi touch.I can watch you tube videos perfectly. A certified street wise! just want to know how good is that phone. 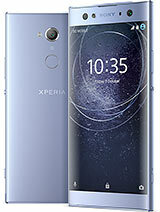 I would like to buyh, but, is that a good phone? i only use nokis. Opinions? Thanks! Is there any other radio app, not online radio, but for local FM radio? I've try again and again to set 3G network but failed to set. Anybody help me how to set 3G network and how can I make 3G call ??? nikey, 02 Mar 2012is this have front cam? No. Fake claim that it supports upto 16 GB SD Cards. Even an 8GB card gets it "hanging around"
dimi21, 03 Mar 2012Look my friend its a nice phone but it's battery is not good. If you talk too much you will ha... moreIf i use this phone normaly then can it stand for 2 days? What about the os and features? Rohit, 02 Mar 2012hiii guyz .... i want to know about battery life of this phone ..... if i have chagered this p... moreLook my friend its a nice phone but it's battery is not good. If you talk too much you will have to charge it everyday..
which is better x8 or galaxy y?